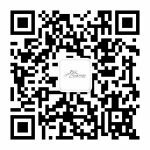 There’s no better way to get a good view of Kangding’s vastness and experience the local grasslands than a quick (a matter of opinion?!) hike up JiuLian Mountain. 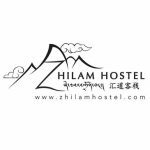 This experience is conveniently located in Zhilam Hostel’s backyard. Although one could make up their own route through the forest, there are two cleared paths leading to the grasslands, both with their own challenges and rewards. The first path is very steep and definitely a challenge, however it is a more straightforward option for those that don’t enjoy loops or switchbacks. This path is easily accessed by walking down Zhilam’s driveway and continuing up the hill passing a white tall building. Immediately past the building there will be a staircase; the difficulty of this climb is a precursor to the experience you will soon have. Once you reach the top, you turn right; it will seem like you are walking into someone’s garden, but right after that turn you should easily see the dirt path. I would not recommend this route for the faint of heart or for those wanting to experience a more leisure hike. The duration of this route is dependent on the hikers enthusiasm and ability. With that in mind, I would say that it may take anywhere from 1.5 to 3 hours. The second route is accessed similarly to the first. You may choose to take the stairs beside the white building or continue further up the road until you reach a white road that curves and leads up the mountain. I found this option less strenuous. You continue to follow road towards the monastery. Close to the monastery you will reach a fork in the road. At this point stay right, passing by the monastery. If you’ve reached the prayer wheels, turn back as you’ve gone too far. However, this path makes for a good walk for another time. The nicely paved road eventually turns into a country road leading all the way to a meadow filled with prayer flags and wild flowers that litter the meadow floor during the summer months. You may be fortunate enough to run into a herd of horses, but just make sure to move out of their way when they start to run toward you. Once you reach the meadow, do not be deceived…it is not the grasslands! This next part is a little tricky. Getting to the grasslands from the meadow you must find a path that leads you up the mountain that is to the North of the meadow (a little piece of advice: iPhones have a compass installed by the manufacturer. Thank you Apple!). You may get lost because the path isn’t so clear at times, however continue hiking up and over the mountain and eventually you should reach the grasslands. I personally really enjoyed the meadow, the streams, prayer flags and wild flowers. Everything was so picturesque. The following items are highly recommended: sunscreen, a hat, mosquito repellent, water, food, food and more food. Do not underestimate the power of sun and wind…trust me I did and my face paid for it! Also, hiking in the early morning tends to be the prime time for mosquito feasting, so be aware! Bringing water is a given. Always be prepared and well hydrated. Some people may choose not to bring food along, planning to eat breakfast or lunch once they arrive back. However, the combination of fresh air, high altitude, hard work, and breath-taking views will make you hungry! Also, why not pack a picnic and join the grazing yaks and horses. You can now cross off eating with yaks from your bucket list! If you want company, feel free to ask the Rubeshes if you can walk their dog, Lucy. She is a pleasant companion and loves joining guests on their walk to the grasslands.